Paul Edmund-Davies established his international reputation as flautist and soloist in the 20 years that he was Principal Flute of the London Symphony Orchestra and then the five years in the same position at the Philharmonia Orchestra. Paul Edmund-Davies has edited and published more than 25 books of flute music. 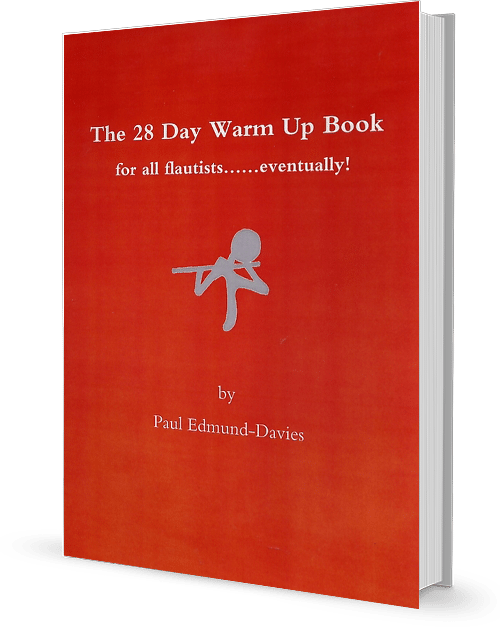 His ‘The 28 Day Warm up Book for all Flautists…eventually!’ is a best seller and has been translated into Japanese, Spanish and Russian. In 2015 Paul launched his online flute education resource, Simply Flute. The site provides both free and subscription materials to help flute players and teachers on their respective journeys.